Recently Lily entered her AHG troop’s Cupcake Wars. I am proud to announce she placed second. 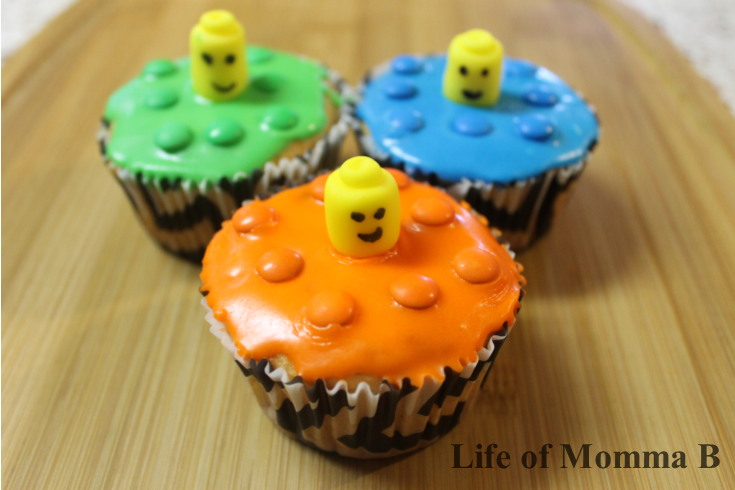 First she created the Lego heads using fondant. The faces were added with a food-safe marker. The cupcakes were topped with a simple glaze colored to match mini-M&M candies. Our AHG troop used the Cupcake Wars competition as a fundraiser. After the judging was complete the cupcakes were each sold for $1. The collection of cupcakes was unique from a simple cupcake with lots of sprinkles made by one of the Pathfinders to elaborate creations made by one of the Patriots. Some of the girls were able to work on the Cake Decorating Merit badge with this event. This entry was posted in American Heritage Girls, Cake Decorating and tagged AHG, Cake Decorating, candy, cupcake, fondant, Lego, merit badge. Bookmark the permalink. Cupcake Wars is a neat idea. I was just elected as one of the LITs, so I can talk to the other LIT and Unit Leader about this.